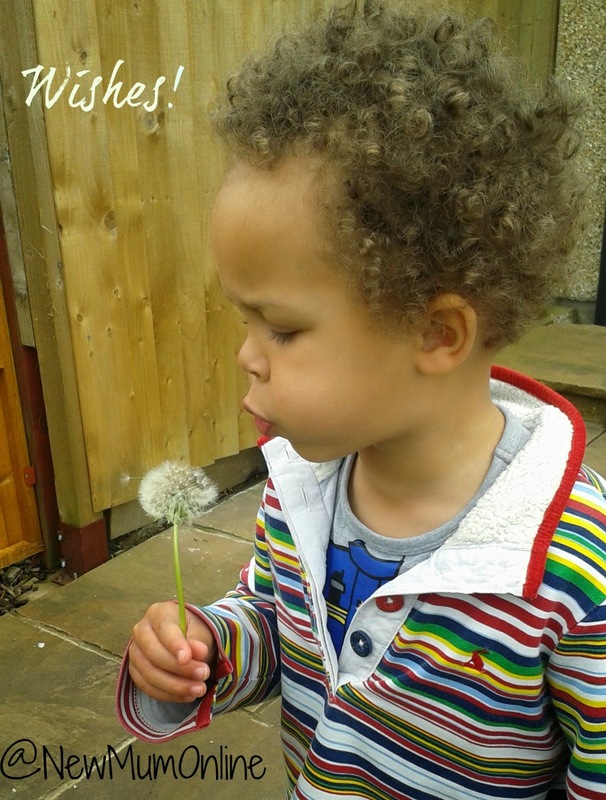 New Mum Online: How Does Your Garden Grow? 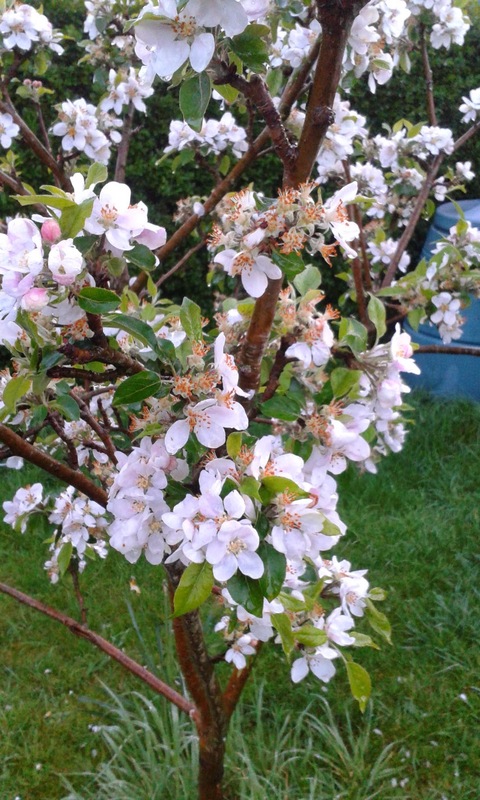 Although it is losing all of its petals rapidly. 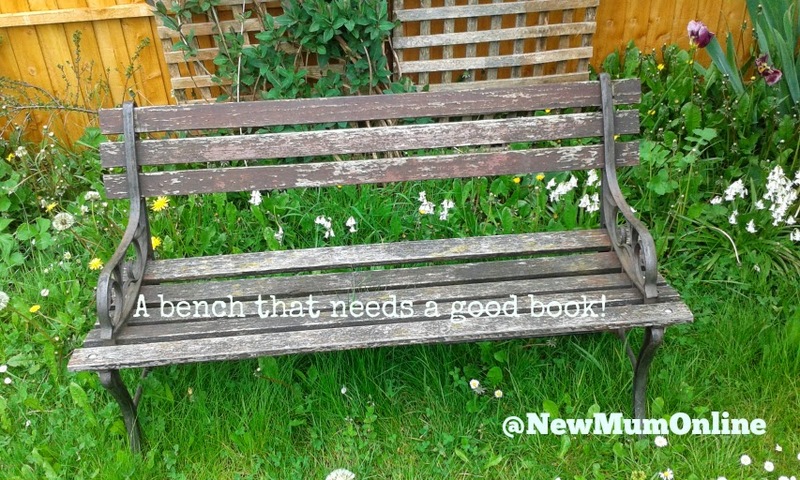 That reminds me we really must get some bird food for that bird table. This pic better shows how long the grass is. 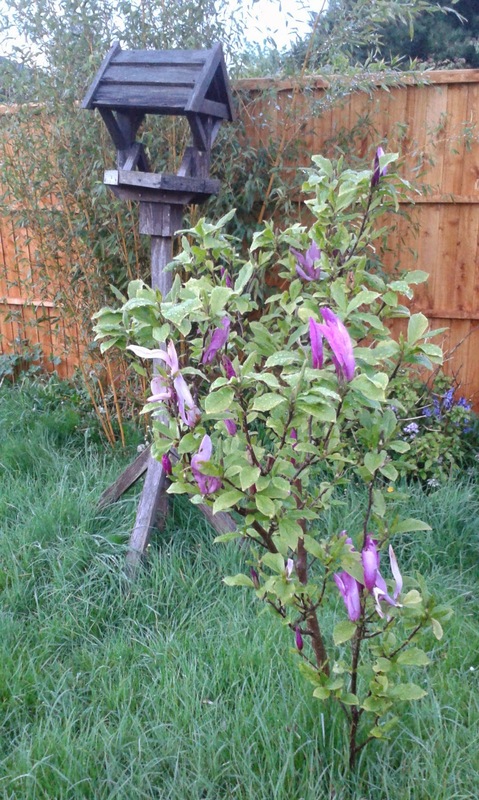 Doesn't bother me yet, as it looks like a English Country garden rather than unkempt - that's my story and I am sticking to it! 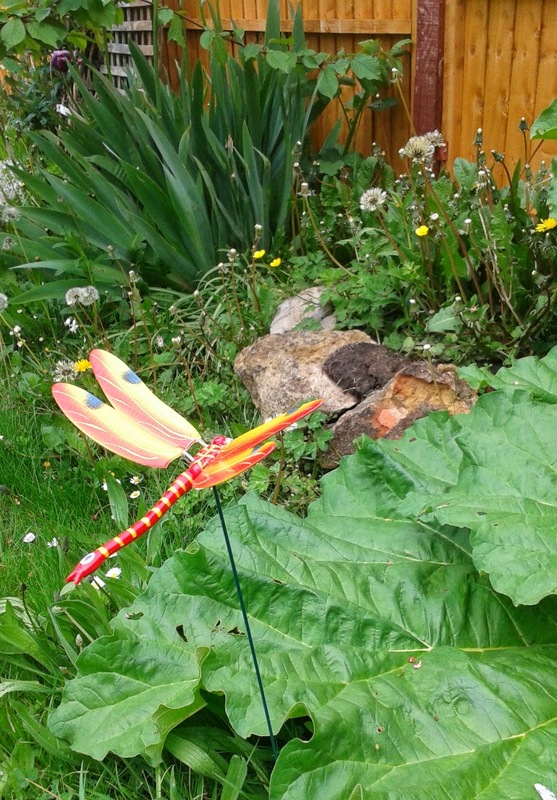 Aaron treated himself to a butterfly, which is currently hovering over some rhubarb! 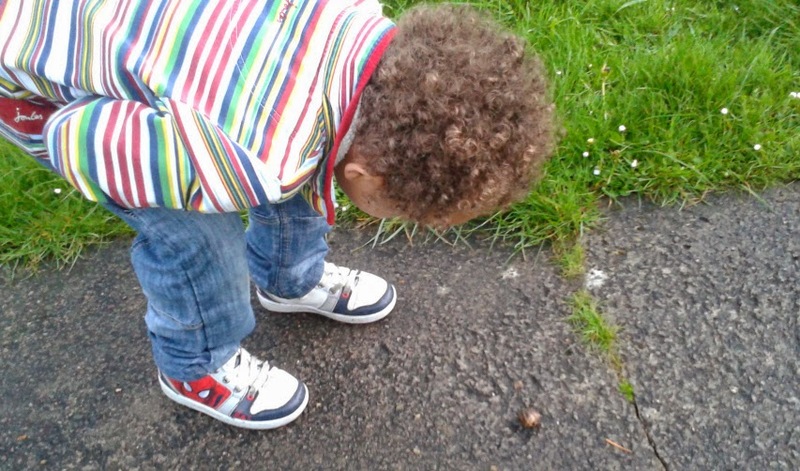 He is currently obsessed with slugs and snails, but thanks to the rain, there have been lots of them to keep him entertained and curious. Ah it looks like Aaron just loves exploring much like Harry! 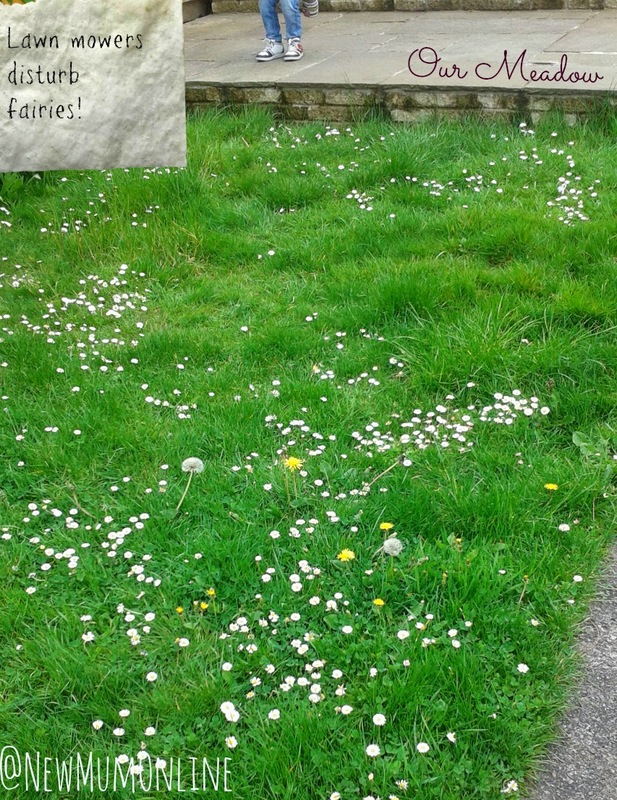 Yeah we can't disturb the fairies and don't forget to make lots of daisy chains. 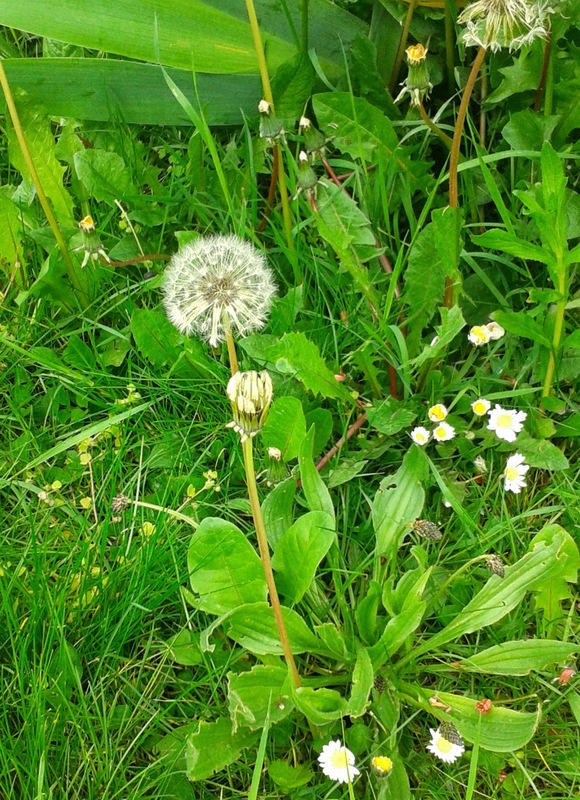 Ahhh see I love the long grass and the daisies, secretly I'd love a wildflower meadow but I suspect that it would take up alot of space and effort for a few weeks of wildflowers a year! Is it wrong that I love cutting the grass? Oh my, I am a fairy murderer!